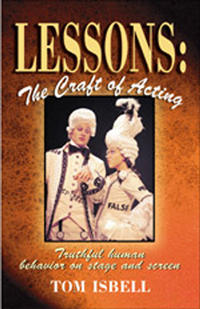 Tom Isbell wants you to know that this is definitely not a ’how-to’ book on acting. In fact, he abhors how-to books for the arts. Still, this book is meant to improve your acting skills by developing your awareness as an actor — awareness both of yourself and those around you. By understanding what is worth pursuing, what is worth remembering and what is worth letting go, you can acquire knowledge about acting which will increase your skill level. This book is a series of 100 plain-speaking, highly readable lessons that convey the big and little truths of acting. Read more...Divided into 5 sections — Approach, Fundamentals, Classes and Rehearsals, Performance, and Final Lessons — Isbell presents this as a true acting book that focuses on allowing the natural artist to evolve, grow and mature, finding his or her own voice. If you’re new to acting, these 100 lessons should provide a foundation on which you can build your acting life. 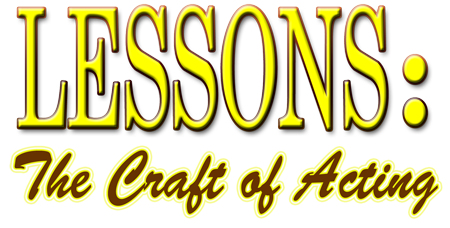 If you’ve been acting for a while, these lessons should confirm what you already know deep within you, but perhaps haven’t yet voiced. Written to encourage eager young actors who want to learn the secrets of acting before they even get their driver’s license, this brand new book has the perfect combination of insightful, informative teaching and light-hearted spirit.